Our quest for great Scottish beer started in 2006. Ever since then, we have been brewing the finest artisan lagers and wheat beers in the UK. We brew all of our beers in strict accordance with the Reinheitsgebot, the German Purity Law of 1516, which we believe is simply the best way to make great beer. WEST, under the leadership of Bavarian-born Petra Wetzel, is the only UK brewery to officially adhere to the Reinheitsgebot, merging centuries of traditional practice with state-of-the-art equipment. 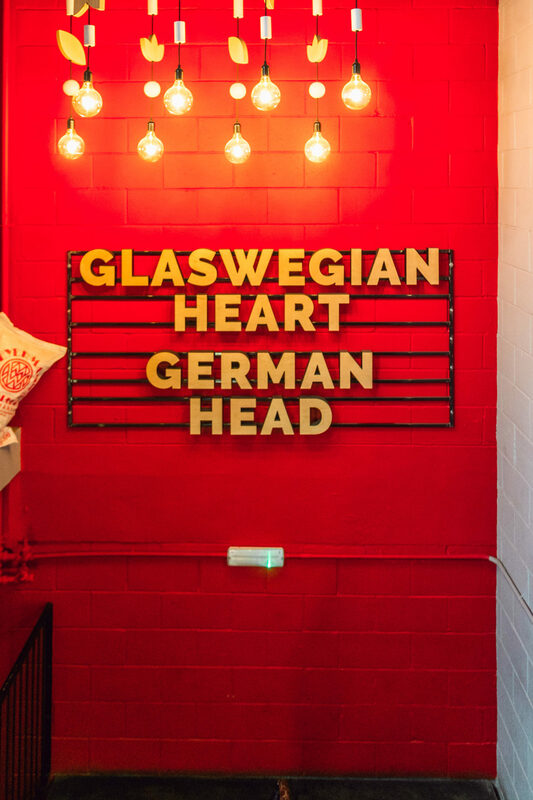 Our German roots are firmly planted in Glasgow and our company ethos can best be summed up as ‘Glaswegian Heart. German Head’. Glasgow is Scotland’s cultural capital, standing at the forefront of the UK’s creative arena. Belonging to a city that is fiercely proud of its institutions and artisans means everything we do at WEST is infused with this renowned Glaswegian spirit. The desire to produce the very best is what makes the German work ethic an enviable industry tool. We channel the best of this maxim into refining our processes, striving for nothing short of perfection. By brewing our beer to the Reinheitsgebot, that means we can only use four ingredients when making any of our beers. We don’t add any chemicals, preservatives or flavouring agents and we don’t filter our beer through anything nasty either. The only additive in our beer is the time required to ensure the perfect pint. Water: The soft water of Loch Katrine is perfect for producing the highest quality beers. So much so that it is the envy of our brewing contemporaries worldwide. Malt: Every batch contains British malted barley. Speciality malts added for flavour and colour are sourced from the renowned Weyermann Malz in Bamberg, Germany. Hops: Primarily sourced from Hallertau, a region of Germany steeped in lager history, these noble hop varieties gift each pint its distinctive aroma and character. Yeast: Yeast is an ingredient that holds an air of mystery in brewing. We use two strains, but the specifics are hush hush, with our brewers preserving their secret.